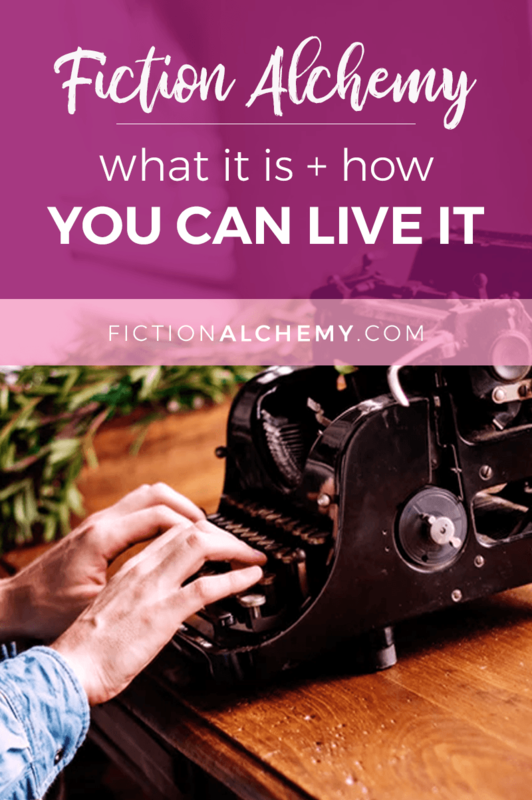 What’s the Fiction Alchemy Lifestyle & how can you embrace it? 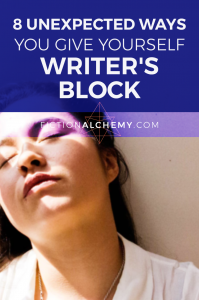 Becoming the writer you want to be isn’t an overnight process, but it is achievable one if you do it the Fiction Alchemy way. What do you mean by “Fiction Alchemy lifestyle”? Alchemy has always been about trying to take something imperfect and make it perfect. Early Alchemists believed that everything in nature always tried to reach this perfection. All metals, the Alchemists believed, yearned to be gold, and would slowly, over a great period time, change — becoming purer and purer until they reached the perfection of gold. That’s what most of us think of when we think of Alchemy, and it’s a fair assessment. But of course, there’s more to it. Alchemy is notoriously inaccessible and obfuscated, and that’s why so few of us ever really “got it”—those sneaky dude Alchemists didn’t want anyone else to figure it out. Here is the secret, and here is why you should be a Fiction Alchemist. The goal of a true Alchemist isn’t to change lead into gold; it’s to change our own “leaden self” into gold. 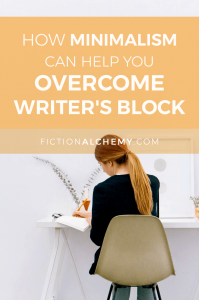 So a Fiction Alchemist’s goal is to turn both their writing AND their writing life, into gold. Fiction Alchemists know nothing is ever perfect, and they don’t look for perfection to the degree of anxiety. Fiction Alchemists aim for their own version of perfect: Perfect love for themselves, perfect love for their writing, and perfect love for the time they get to enjoy doing it. Once they find that, they’re golden. Sound like someone you want to be? Your best writing is not someone else’s best writing. Your best writing life is not anyone else’s best writing life. That’s what you’re trying to get: your best writing life. So that means you don’t judge it by some person or literary competition’s idea of perfect. You judge it by yours. The state of your mind affects the results you get from your “lab work” (your Magnum Opus). Therefore, to create your best work and best life, you have to give yourself the attention it needs first. How do you do that? Follow the Inner Alchemy process. When we decide to take our lives from hot mess to brilliant, we enter the Inner Alchemy process, which leads to the transformation we seek: chaos to brilliance. Every woman who’s hit that point where she could just tear her hair out and scream for an hour is ready for the Inner Alchemy process. The process is broken down into four main parts (or steps), and as we progress through each of these parts, we get closer and closer to a perfect, productive, happy life and business. The four steps of the Alchemy Transformation are Black Chaos, White Clarity, Yellow Wisdom, and Red Brilliance. Let’s apply them to being a Fiction Alchemist! The Black stage is the representation of Chaos. It has two minor processes to it (Calcination and Dissolution) which both work to destroy the diseased parts of ourselves and leave potential behind. It’s the rock-bottom point we reach when we’ve just had enough and can’t seem figure out how to make things good again. Know your limitations, and don’t try to take on more than you can handle. Check out How to Keep Writing When You’re Low on Spoons. Learn what can cause chaos, and how to avoid it. 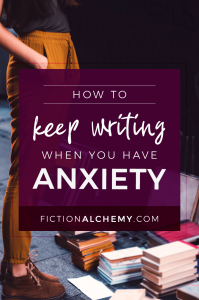 Check out 7 things that will ruin your writing confidence + writing impostor syndrome. Learn a tried-and-true method for story structure. Check out 5 Easy Story Elements You Need to Write a Foolproof Novel Outline. The White Stage is the representation of Clarity. After we’ve passed from the Chaos of the Black stage, we now suddenly see things so much more clearly. It’s marked by consciousness: We see and decide what belongs in our lives. There are two processes in the White stage — Separation and Conjunction — which both work to help us see and choose the right elements for our lives. This stage is when we start to get “Ah ha!” moments. Suddenly, something has clicked in our heads and we have an idea of where to go and how to get there. Use your time wisely. Check out 5 Qualities of People Who Use Time Wisely. Outline your novel in a clear, easy way so you know exactly the story you want to tell without losing your creativity. Check out the The Ultimate Guide to Quickly & Easily Outlining Your Novel. Understand your habits so you can make conscious choices about your writing life. 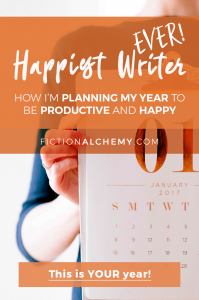 Check out Why am I such a slow writer? The Yellow stage is one of wisdom through purification. You’ve been through the chaos of the Black stage, found clarity in the White stage, and will now grow a bit wiser as you traverse the Yellow stage. This stage is comprised of two processes, Fermentation and Distillation — both of which lead a new Alchemist into the new life she is creating for herself. When we’re in the Yellow Wisdom stage, we’re finally starting to move in the right direction because we know what we need and we’ve wizened up. Where we once would have floundered, waffled, and put off making decisions, we now feel confident in our decisions, choices, and strategies. We know we’re going in the right direction and we feel great about it. We are so close to Fiction Alchemy when we get here! Believe that you have a place in this community and you CAN find your tribe. Check out the interview with V.E. Schwab about “Cultivating Stubborn Hope & Earning Your Way Into The Tribe” on the 88 Cups of Tea podcast. Know that finding your voice means moving past fear. Check out Sacha T. Y. Fortuné’s essay on finding her voice as a Trinidadian writer. Find confidence in yourself to find confidence in your writing. Check out 9 Powerful Ted Talks to Boost Your Self-Confidence. Know that rejection is part of the process, and you can learn to deal with the crappy feelings that come with it. Check out How to Deal with Rejection and Disappointment as a Writer Mom. This is the final stage of the Alchemist’s Transformation. It’s the moment that the leaden life you began with finally transmutes into the gold you dreamed of. It’s your Philosopher’s Stone, your transmuted Gold, your Great Work. There is just one process in the Red Brilliance stage: Coagulation, which is when the ferment that we distilled during the Yellow stage becomes solid, tangible, and real. You’ve found your writing voice, and it flows out of you like water. Check out Kristen Kieffer’s post on Defining Your Unique Writing Style & Voice. You wake up excited to write, 90% of the time. Check out 7 Rituals to Make You a Happier Writer. You know when you need to change course, and you do it. Check out How to accept when your goals change. To an Alchemist, this is when all of the pieces and parts we’ve created during the first six stages coagulate into the one, bright, shining, golden representation of our Magnum Opus. This is everything you’ve worked for. How will you create Fiction Alchemy in your life? Is this you? You’ve got to-do lists, planners, Trello, and a Get Your Words Out spreadsheet, but at the end of each day, you still feel like you got absolutely zero writing done. More than that: you’re exhausted, burnt out, and disappointed in yourself. Some days, you feel like giving up. This is no way to live. You deserve to finish your novel. You deserve to enjoy the process. Writing doesn’t have to be hard. It doesn’t have to feel so soul-sucking. If you’re ready for a change from that, and you want to do it without the soul-sucking part, then you’re ready to do it the Fiction Alchemist way. Will you make the commitment to take your writing life from chaos to brilliance?